Does anyone know the paint codes for the chassis? Mine is silver and I need to repaint a section after a repair to the frame. 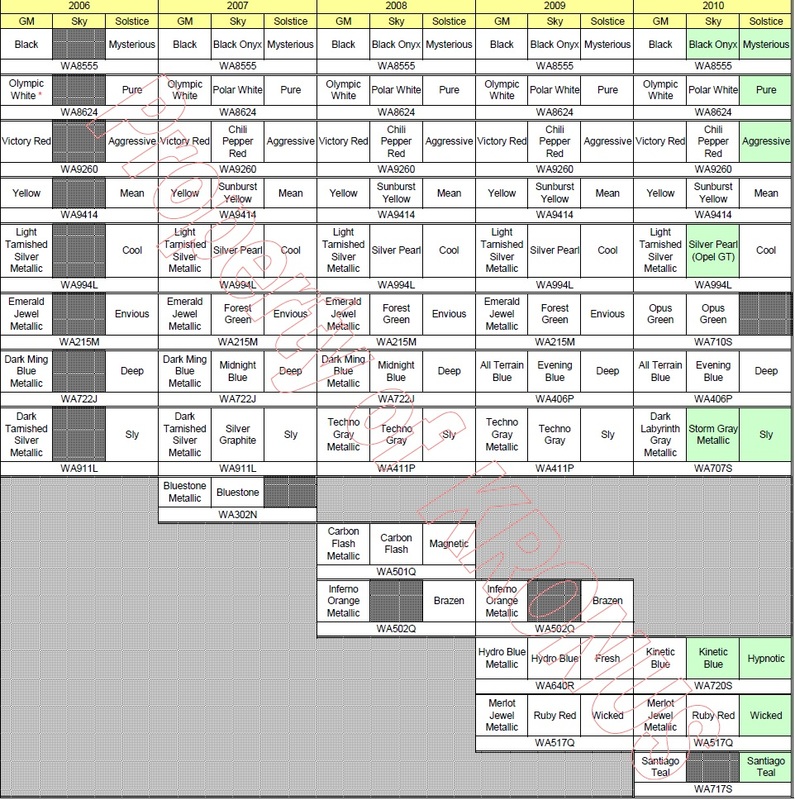 this table is from another post... maybe 67U ? The 67U is the RPO of the Exterior color. Use the WA994L for the Lt. Tarnish Silver. That was the chassis color for all the Convertibles, Solstice and Sky. For the Coupes, the chassis color was the same as the exterior color. sirwm and 07Solcoal# like this. 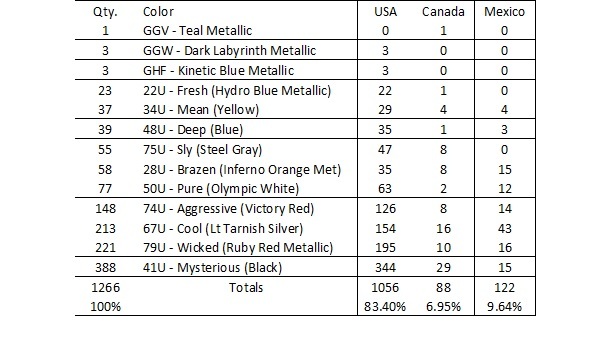 Here are the GM paint codes for ALL vehicles, 2006 -2010. Thanks a bunch,That helps. From looking at the charts, it looks like they used two different codes for the exterior color “sly” name. One code for 06&07, another for 08&09. If that’s also true of the other colors then it would be easy to get the wrong color if you were trying to match what is on your car. In other words, don’t go by just the name, use the chart and make sure you have the correct year. The paint code is in the glove compartment, but since our cars are not new take a sample of the paint of your car, such as the gas cap cover, so they can match the paint.